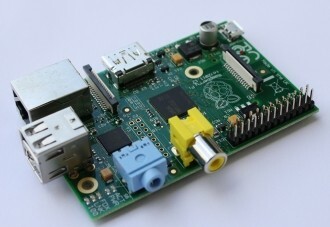 The Raspberry Pi Foundation has revealed details regarding revision 2.0 of the popular micro computer released earlier this year. There aren’t any major overhauls like a new processor or more memory but instead, several minor concerns have been addressed based on feedback the team received following the original design. Revision 2.0 includes a change to the GPIO pin out to add ARM JTAG support and to present a different I2C peripheral. There’s also now a reset circuit which can be utilized by adding an appropriate header to P6. The team notes that shorting P6 pin 1 to P6 pin 2 will cause the BCM2835M to reset. Resetable fuses used to protect the USB outputs found on some early version 1.0 boards have been removed and replaced with links. Furthermore, two GPIO pins have been interchanged while the primary and secondary I2C channels have been reversed. The four GPIO signals that were originally used for version identification have been removed in version 2.0 PCB because they were apparently redundant. A new connector site P5 has been added in their place which the foundation says is suitable for attaching a third-party clock and audio codec board. An issue with the HDMI port interfering with the operation of CEC for other devices has been rectified, SMSC 1V8 power has been disconnected from the system supply and finally, there are two 2.5mm non-plated mounting holes to facilitate permanent installation. The revised PCBs are trickling into the supply chain now although there’s no guarantee that you’ll get a new board if you order now. If any of the above changes are a must-have for you, we’d suggest waiting a few weeks to allow the supply chain to purge the old boards.